Comparative negligence is a legal doctrine that can be used to the advantage of both the plaintiff and defendant in personal injury cases. 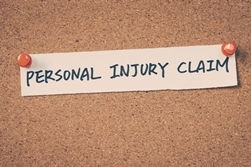 The law allows potential plaintiffs to file a personal injury lawsuit and pursue compensation for damages—even if they were partially at fault for their injuries—but may also be deployed by the defense in a bid to reduce their financial responsibility to the victim. Thus, comparative negligence can either be seen as a saving grace or a wrench thrown into the works, depending on your culpability in the accident that caused your injuries. When it comes to the assignment of blame in personal injury cases, Delaware subscribes to the rule of modified comparative negligence meaning that, in order to be eligible to recover damages from the defendant, the plaintiff must be 50 percent or less at fault for the accident that caused their injuries. The judge—or possibly the jury—assigned to the case determines the proportionate responsibility of each party and takes that into consideration when deciding how much compensation the plaintiff can potentially recover. If you were injured in an accident in which your own negligence played a role, Delaware's comparative negligence laws may make it possible for you to still file a lawsuit and seek compensation for related damages such as medical bills, property damage, lost wages, and pain and suffering. However, comparative negligence laws can just as easily be used to reduce the financial award you can receive as an accident victim. Having knowledgeable and experienced legal representation is the best way to ensure that you receive the compensation you need and deserve to get your life back on track after an accident. Contact the skilled legal team with the Morris James Personal Injury Group to schedule a free initial consultation to discuss your case. You can also request a free copy of our eBook, Anatomy of a Personal Injury Claim for additional information.